Many cat owners overlook vitamins and supplements for felines. For the most part, that’s just fine. By feeding your furry friend a high-quality kibble, you’ll give them the vast majority of vitamins and minerals required to keep a cat healthy and happy for years to come. Still, there are times when cat vitamins and supplements can be helpful. This is especially true when your cat is suffering from an illness or a limiting condition. Vitamins can be the boost your furry friend needs. 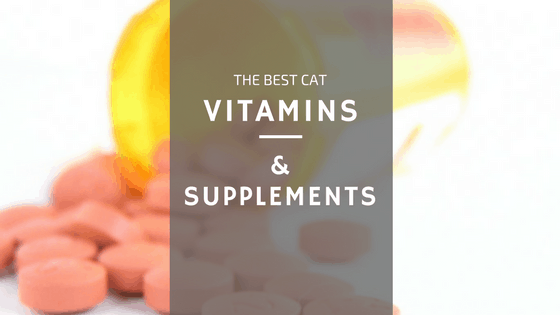 Why Cats Benefit From Vitamins and Supplements? Certain cats cannot get the proper minerals and vitamins from cat food. They simply cannot process and digest food properly. Usually, these cats also suffer from a medical condition. If your cat has a medical condition or illness, then there’s a chance vitamins and supplements could offer great benefit to your cat’s health. Every medical condition will require different types of supplements. Your cat’s hair, fur, or coat is vital to maintaining health. Plus, everyone likes a cat with a stunning coat. Many cat vitamins and supplements will benefit a cat’s coat greatly. Many cat owners like to “play doctor” with their furry friends. These “helicopter” cat parents Google information online about the benefits of cat vitamins. Then they order and administer to their pet. However, this is a horrible idea. You should never give your pet anything without visiting your vet first. Not only will your vet let you know if your cat needs a supplement, but he’ll also be able to offer the best available products on the market. If you have a healthy cat, they won’t need to supplement with Vitamin C. However, unhealthy cats often find a great benefit when taking this supplement. If your cat is prone to bladder stones or urinary tract infections, then there’s a good chance he’ll benefit from taking Vitamin C. Vitamins C increases acidity in urine. As such, the bladder will no longer be habitable for bacteria. While most high-quality cat foods do contain a decent supply of Taurine, it’s important to make sure your cat is getting enough of this essential amino acid. The supplement contains sulfur, which can help a cat metabolize fats. This is essential for our furry friends. If your cat is deficient in Taurine, there’s a high risk of health issues. Things like blindness and heart failure are bound to creep up with a solid source of this amino acid. If you feed your cat a prepared food diet or a vegan diet, then Taurine supplementation may be vital for the health of your furry friend. If your cat doesn’t eat a high quality dry cat food each day, you’ll want to grab a Taurine supplement for your cat. Fish oil can be highly beneficial for cats, especially if they have a dull coat or suffer from dry skin. Fish oil promotes coat health like no other supplement for cats. Plus, most cats love the flavor. Not only will fish oil offer a huge benefit to your cat’s coat, but the supplement also offers numerous health benefits. Fish oil reduces kitty joint pain, helps keep claws healthy, and can even treat kitty allergies. You’ll want to pay attention to the litter box to find the right dosage for your furry friend. Until you see diarrhea, you can keep going up. Just make sure not to overdo it. Many cats suffer from Vitamin E deficiency. Most of these cats also eat a diet primarily full of fish. If you’re feeding your cat a lot of fish, it’s quite likely you’ll need to supplement with Vitamin E.
Cats that don’t get enough Vitamin E suffer from Steatitis. Stetitis is also known as “yellow fat disease” and can be potentially fatal if left untreated for long enough. One of the B-complex vitamins, B12 is needed by bone marrow to develop red blood cells. 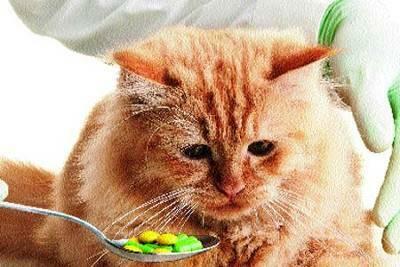 Most high quality cat foods have Vitamin B12 in them, but some lower quality foods don’t. Cats who suffer from anemia almost always have a Vitamin B12 deficiency. Cat owners should ask the vet about supplementing with Vitamin B12 if their cat is suffering from anemia. Surprisingly, cats do not need dietary fiber. Fiber is just not essential for our furry friends like it is for us. However, fiber can help with the health of your cat’s colon. In felines, fiber can alleviate constipation and diarrhea. The fiber will get broken down in the intestine, which will form fatty acids. This helps prevent too many harmful bacteria from hurting your furry friend. Fiber can also be useful in managing cat obesity. Fiber can add a lot of bulk to your cat’s diet without too many calories. This will ensure she feels full while on a diet designed to aid in weight loss. Most high quality cat foods will contain more than enough Potassium for your kitty. However, certain cats suffer from Potassium deficiency. This ensures the cat cannot retain enough potassium to be healthy. As such, these cats suffer from diarrhea, kidney disease, vomiting, and much more. If you think your cat may be struggling with a Potassium deficiency, make sure to talk to your vet about a supplement. While certain animals can get enough Vitamin D from lying in the sun, your cat isn’t one of them. To remain healthy, your furry friend will need to get enough Vitamin D from their cat food. Vitamin D will ensure your cat grows strong bones while controlling nerves and muscle growth. Usually, a kitten will require more Vitamin D than a fully grown cat. Make sure to speak with a vet about the proper dosage for your furball. Iron is essential to cat health. Without iron, your furry friend will often suffer from anemia. However, most of the time, it can be difficult to tell if your cat has an iron deficiency or not. Iron deficiency can be caused parasites, kidney disease, intestinal bleeding, urinary bleeding, and more. Many times a cat will become exceptionally lethargic if suffering from iron deficiency. Cats who have feline herpes require Lysine supplementation. Now, feline herpes is not an STD. It’s an upper respiratory disease that causes eye infections and nasal discharge. Lysine helps by boosting your cat’s immune system response. As such, this supplement will prevent herpes infections and fight them off quicker. It’s vital to treat every cat in the home if one cat gets feline herpes. As cats age, they often develop arthritis and other ailments. When this happens, a joint pain supplement can benefit your furry friend. Cats tend to respond well to Glucosamine supplements. Glucosamine helps fight inflammation in the joints. Many cats feel way better once they start taking this supplement. We recommend your cat take Cosequin, as it’s the best cat joint health supplement on the market. If you believe your cat needs to supplement his diet with vitamins and minerals, then it’s vital to speak with your vet. See what supplements your cat actually needs before you buy anything. Make sure you write down a list. You can take your vet’s recommendations and tell them you want to do a little research before buying anything. Then go home and get on online. Pet Stores and many online retailers offer the best selection of supplements for cats in the world. Your cat’s health is sure to thank you after an order!